At Eco Efficient Nottingham, we fully understand how inefficient boilers can cause mayhem at home or within your business. This is why we strive to offer fast response whether your installation or repair job is planned or an emergency. We have engineers on standby round the clock, and our customer care department never sleeps. We take pride in the 15 years we have been providing boiler installation services all over Nottingham. Whether you want a modern boiler installed or you want to replace or upgrade into an energy efficient solution, we are happy to guide you on the best options to choose. Home and business owners who invest in a modern boiler system enjoy energy efficiency and savings. These innovative systems don’t break down like their old counterparts meaning you will save on repair and maintenance costs. If you reach out to us, we offer undivided customer attention, and our focus is your happiness. 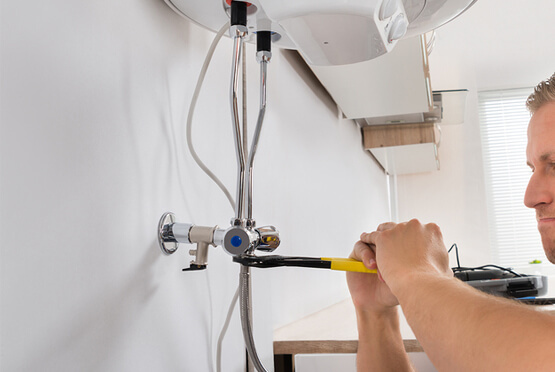 We provide high-quality installation services that amateur service providers can’t match. Our reputation spreads all over Nottingham including Bingham, Hucknall, West Bridgford, Beeston, and Carlton areas. Call us anytime you need superior installation for your prized boilers. At Eco Efficient Nottingham, we don’t just offer quality boiler installations. We provide you with quotes to help you save. We don’t rush to install your new system before we explain in detail what we intend to do. As long as the boiler system is suitable for your premises, we will give you a free no obligation quote. We use the same to bill you so you won’t be forced to pay more when the work is done. Simply, we let you take control of your spending, and you only pay us if you get the craftsmanship you desire. No service firm can provide the competitive rates you will get from us. At Eco Efficient Nottingham, using original manufacturer parts is our motto. Other companies want to cut corners by using substandard installation parts and components; we stick to quality since we want you to enjoy efficiency for many years to come. Equally, we only dispatch a team of Gas-Safe verified technicians, who understand health and safety standards in the industry. We endeavor to build lasting relationships, and our customer base is still growing. In fact, our customer reviews will tell you that we are friendly and efficient. Easy booking and responsive communication. In home inspection by qualified experts. No-obligation quotation for the perfect boiler for your home. Health check-ups on your installed boiler system. Same day service all over Nottingham. Whether you have a small or a large scale installation job, count on Eco Efficient Nottingham to get it right on the first attempt. Our expertise, knowledge, and tools enable us to handle even the most complicated models in the market. We offer superior warranties, and you can relax knowing your system is performing in peak condition all through. We are reliable, fair and straightforward with our installation. If it’s time to replace or upgrade to an efficient boiler system, call us today, and we will offer the right solutions within your budget.